The Superyacht Culinary Academy Chef course includes the IYT Internationally recognised chef’s certificate in Food & Health safety and a one day course on Chef’s duties and responsibilities aboard a Superyacht. This course, plus the 5 day STCW95 course will give you the qualifications needed to use your chef qualifications aboard a Superyacht. Qualified & experienced chefs come from all walks of life & from diverse backgrounds. Formal training & qualification is essential, not only as a chef, but also as a member of a superyacht crew. 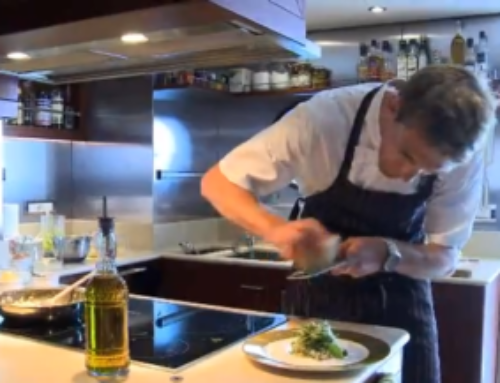 A chef aboard a superyacht is far more challenging than being a chef in land-based kitchens. It requires an aptitude for learning new produce, concepts & culinary variety. A superyacht chef needs to be flexible, adaptable, creative, easy going & love the sea…and the motion that comes with it whilst under passage! The chef’s understanding of the dietary needs, allergies & alternative eating habits of the crew, owners, and guests are of primary importance to a happy vessel.